It was the first phone call between the two since the testy days of the government shutdown earlier this year, and it seemed productive. They are planning to meet, she told the Associated Press in an April 10 interview. 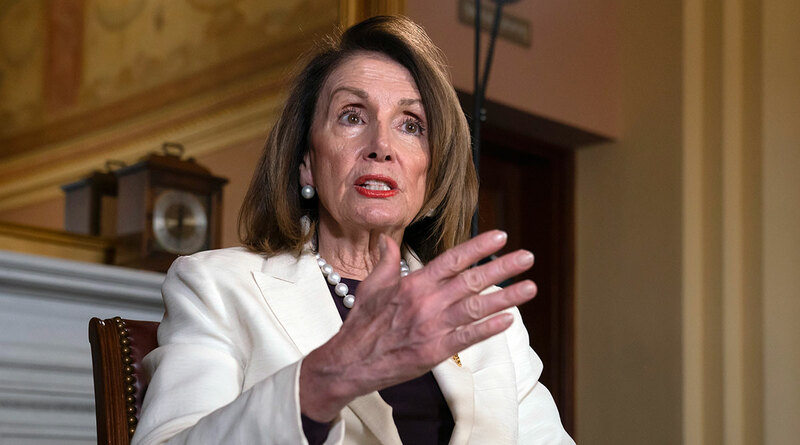 On April 11, Pelosi told reporters she’s looking for at least $1 trillion for the infrastructure package — far more than the $200 billion Trump has proposed — and she would like to get it closer to $2 trillion. She said she expects to “meet soon” with the president to discuss it. The White House confirmed the president and the speaker “did speak last week and have agreed to meet soon to discuss working together on infrastructure,” administration spokesman Judd Deere said. “The president wants a bipartisan infrastructure package that rebuilds crumbling infrastructure, invests in the projects and industries of tomorrow and promotes permitting efficiency,” Deere said April 11. After her talks with Trump, Pelosi thinks the president may be willing to do more than he’s put on the table. Trump’s latest budget proposed $200 billion in federal dollars that could be leveraged with private capital to cover the difference. She says 80% of their conversations, including the talk April 4, are about infrastructure. They’re trying, she said, to find areas of “common ground.” The purpose of the upcoming meeting she requested is to “get a dollar figure” as a starting point for the discussions.